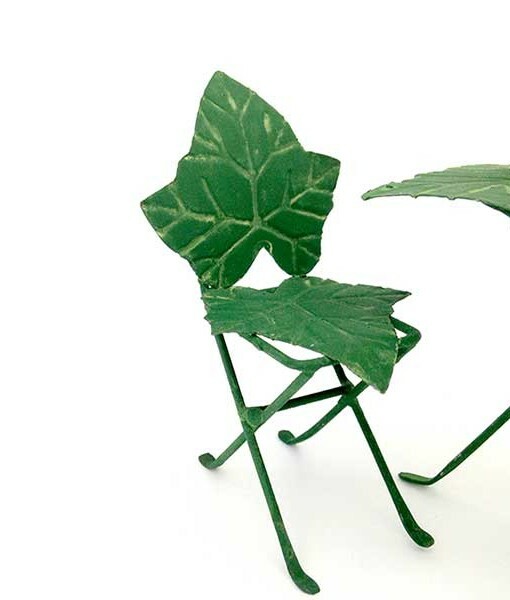 Why wouldn’t faeries want furniture made of leaves? 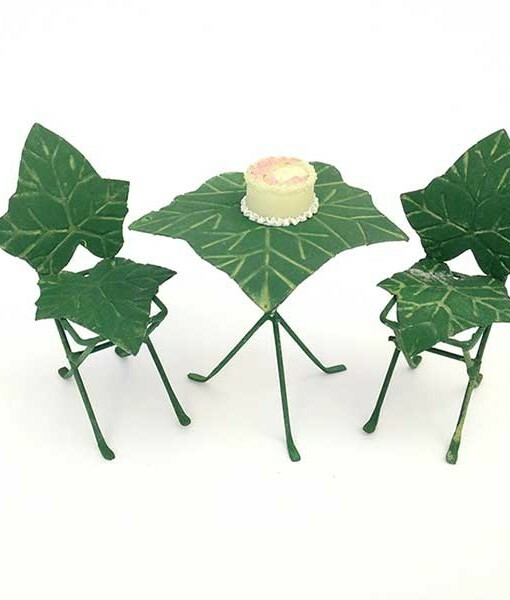 Why wouldn’t faeries want furniture made of leaves? 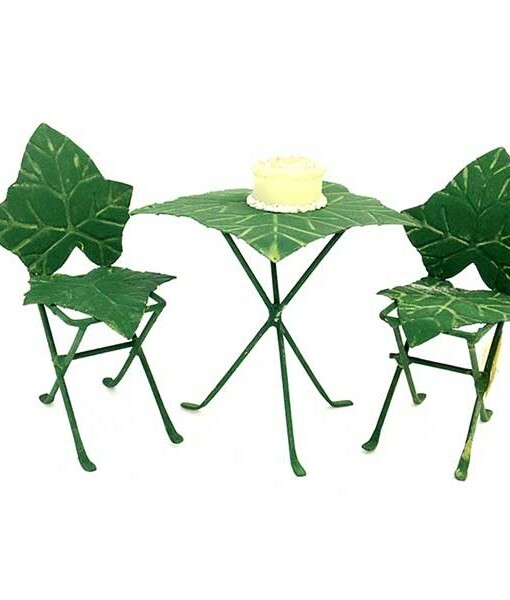 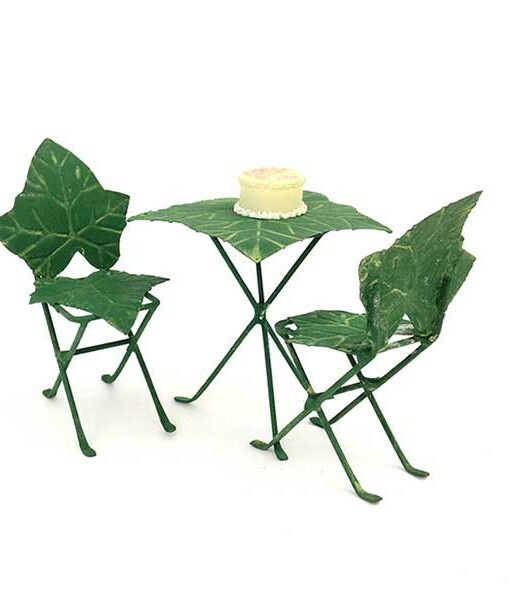 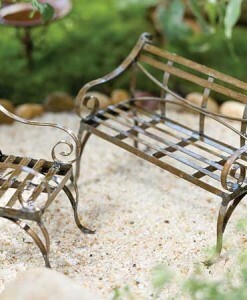 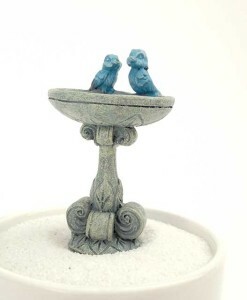 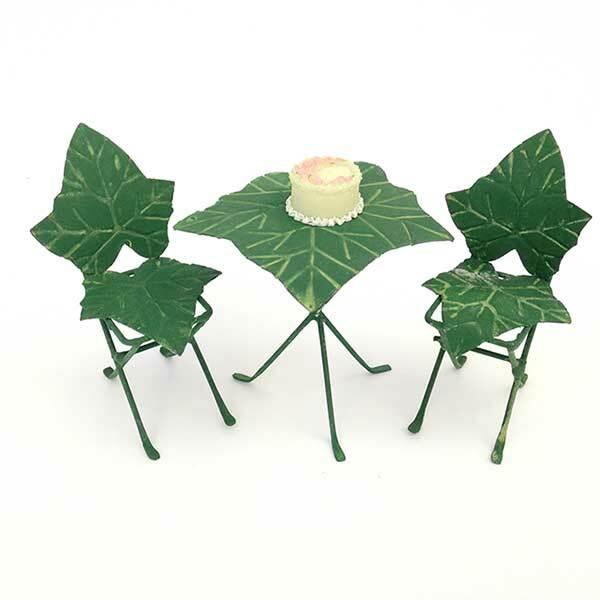 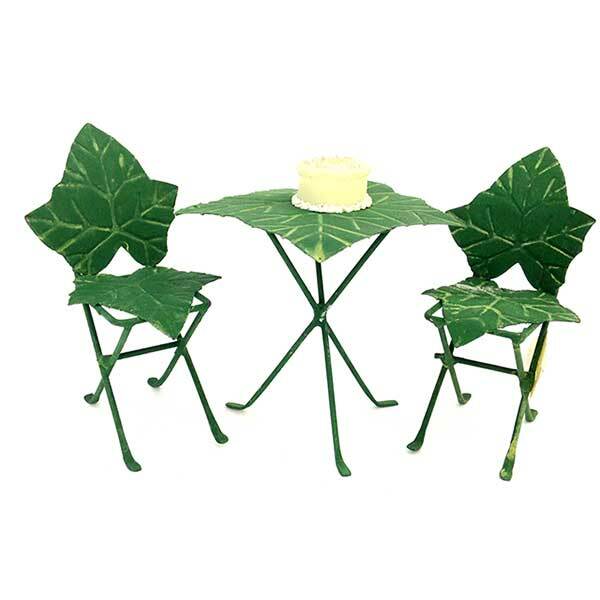 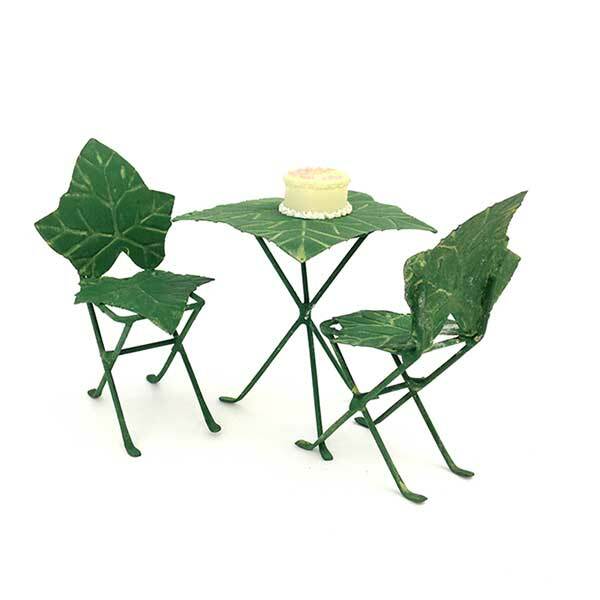 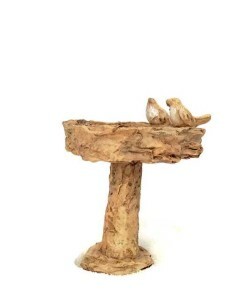 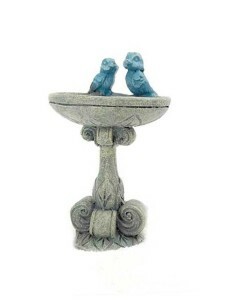 Go for the enchanted garden look with this miniature fairy garden ivy bistro set by Jeremie. 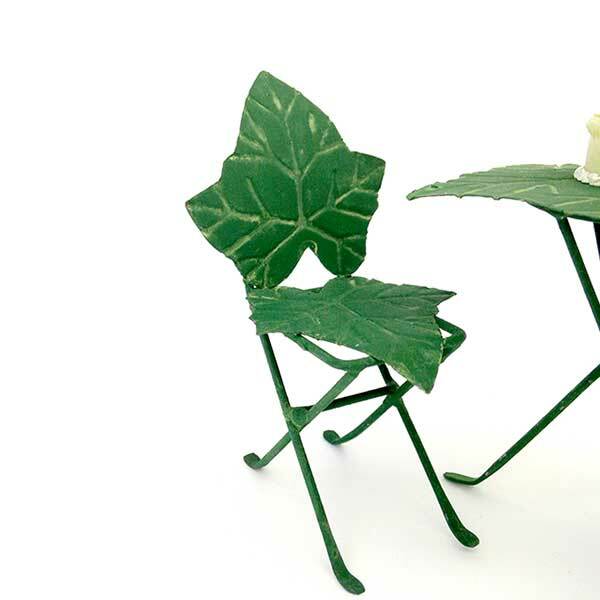 Dimensions: Chair – 3 5/16″ tall, 1 3/4″ wide, 1 3/4″ deep. 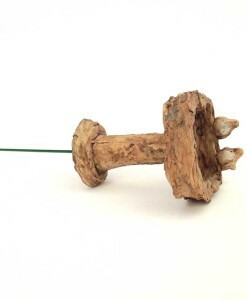 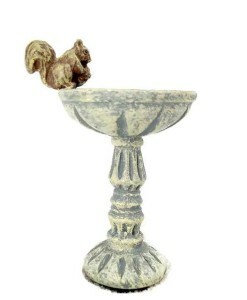 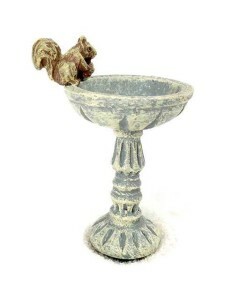 Table – 2 1/2″ tall, 3 1/8″ wide, 3 1/16″ deep.